Letters are a form of verbal and written communication, which contains information or message, send by one party to another, to convey the message. It is sent by one party to another, to provide certain important information. There are two types of letters, i.e. formal letters and informal letters. The formal letter is written for business or professional purposes with a specific objective in mind. It uses simple language, that can be easy to read and interpret. On the contrary, informal letters are written to friends and relative for personal communication and uses a casual or an emotional tone. The article excerpt presents you all the important differences between formal and informal letters in a detailed manner. Meaning A formal letter is a letter, written in formal language, in the stipulated format, for official purpose. A letter written in an friendly manner, to someone you are familiar with, is called informal letter. Format Written in prescribed format only. No prescribed format. Written in First person - Business letters, third person - others. First, second or third person. Written to Business, college/institute, employer, organizations, etc. Friends, family, acquaintances etc. It should be in specified format. It should avoid the use of unnecessary words. It should be straight to the point. It should be relevant and objective. It should be complex and thorough. It should be polite, even if it is a complaint letter. It should be free from any mistakes, i.e. grammatical or spelling. There are three types of formal letters, i.e. business letters, letters for outlining civic problems and job applications. An informal letter is a letter written to someone; we know fairly well. The letter can be used for some reasons like conveying message, news, giving advice, congratulate recipient, request information, asking questions, etc. It is a personal letter, written to whom you are familiar with, like friends, siblings, parents or any other closed one. There is no specific format prescribed for writing this letter. While writing an informal letter, one can afford to be friendly, and make use personal or emotional tone. Slang or colloquial terms, codes, abbreviations, etc. can also be used at the time of writing it, depending on the familiarity with the recipient. A formal letter is one, written in formal language, in the stipulated format, for official purpose. A letter is said to be informal when it is written in a friendly manner, to someone you are familiar with. Formal letters are written for official or professional communication. On the other hand, informal letters are used for casual or personal communication. There is a manner prescribed for writing formal letters. As opposed to informal communication, which does not follow any format. Formal letters are usually written in the third person, however, for business letters, first person is used. On the contrary, informal letters are written in first, second and third person. Formal letters are used for writing letters to business, i.e. partners, suppliers, customers, clients, etc. , college or institute, employer, professionals, etc. As against this, we use informal letters for writing letters to friends, relatives, acquaintance, etc. While writing formal letters, we use passive voice. Conversely, an active and imperative voice is used. The sentences we use at the time of writing a formal letter are, long and complex. Unlike an informal letter, where we use short and simple sentences which are easy to interpret. The size of a formal letter should be concise; that does not include irrelevant matter. In contrast, the informal letter can be concise or large. Formal letters do not include contraction like (didn’t, can’t) and abbreviations rather it uses full forms. As compared to informal letters, which makes use of contraction, abbreviation, idioms, phrasal verbs and even slang and colloquial terms. 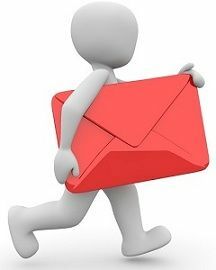 So, before start writing letter, first of all, you should identify, Who is your recipient? If you are having a professional relationship with the recipient, then you should go for a formal letter, whereas if the recipient is someone very close to you or you know the recipient well, then the informal letter is the right choice for you. I have found it very interesting, helpful. Thanks !!! Really ……it is helpful for me !!!! Thank u very much for such a good description.. Thank very much, I learnt a lot. Finally. Now I get it! Thanks for the simple language cause I’m not the best English speaker. This is really helpful article written in simple language. Easy to Understand. Love you….. Thanks a lot. Thank you for giving us good explaination. It’s really very useful. I’m going to write the Ielts exam, give some writing task ideas and tricks.